Live-in carers can help with all aspects of running a home. They can be as hands-on or hands-off as you need. They can help with personal care, companionship, housework, healthy meal preparation and trips out into the community. If there’s something specific you need help with, please get in touch with us and we can let you know if we can help. The live-in carer has two hours off a day, at a time that is convenient for both parties, and can help occasionally at night if needed. If more help is needed, Good Oaks can arrange additional support during the carer’s breaks and at night. Live-in carers need their own bedroom, and usually prepare meals for and eat with the client. Live-in carers provide 1:1 support, so make a wonderful alternative to residential care for people who require higher levels of care. If you are thinking about live-in care you probably already have some support in place, or are nearly ready to be discharged from hospital. Good Oaks works with other providers of support to ensure a smooth and seamless hand-over. Our live-in carers often meet our clients before the hand-over day, and can shadow existing carers to understand your unique daily routines and preferences. We also support people coming straight out of hospital, and can meet you and your family in hospital to provide a full assessment there, to give you peace of mind that your move home will be as inviting and safe as it should be. Call us today on 01202 757787 or request a brochure to find out if live-in care is right for you. 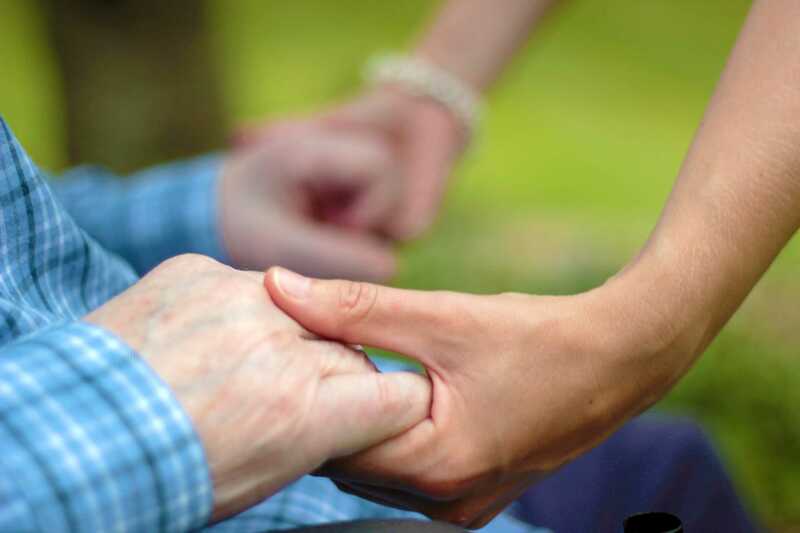 Good Oaks’ long term care clients form strong, enabling relationships with their carers. These relationships transform care into a real positive in peoples’ lives. We carefully match our carers and clients and work hard to keep them together when good relationships form. Our carers and office staff also work closely with family and friends of those we care for, to provide a holistic, joined up care package. Our flexibility in terms of our rostering means that we can adapt to the wishes of the client. For some of our clients, live-in carers change over every two weeks. For others, we provide a permanent live-in carer who we work with to cover their breaks. Because we also provide visiting care, we can provide extra visiting carers for those with more complex care needs, requiring two people to help. Visiting night staff can also be provided, making Good Oaks the go-to provider of long-term and high dependency care. How long does it take to start a live-in package of care? Good Oaks usually provides an initial no-obligation meeting free of charge at a time that’s convenient for you. We usually arrange an appointment within a week of the initial enquiry, but this process can be expedited if necessary. A live-in carer stays with you at your house, helping you with food preparation, cooking, cleaning and personal care. You can find out more about it here. If this doesn’t answer all your questions, please feel free to phone the friendly office team on 01202 757787, or request a brochure. What can my live-in carer help me with? How do you recruit your live-in carers? We are always on the look-out for good live-in carers. We use a variety of ways of getting the word out about us, although word of mouth is a common way people find us. Once they have passed our rigorous interview, we carefully vet them with an enhanced DBS criminal record check with a barred lists check, request references from their most recent employers and follow up their employment history. We then give a thorough induction and training, and they are signed off as competent before they meet clients for the first time. Live-in carers need their own bedroom, with a cupboard or wardrobe to store their things. When we come to undertake the assessment, we can advise you about this. What if I don’t get along with my live-in carer? We do try very hard to match people we think will be compatible. In the unlikely event you do not get on with your live-in carer, let the office know and we can quickly and easily replace them with somebody more suitable at no extra cost.